The weather has taken an ugly turn in BC and I think we have no choice to accept that the F word is coming – fall. 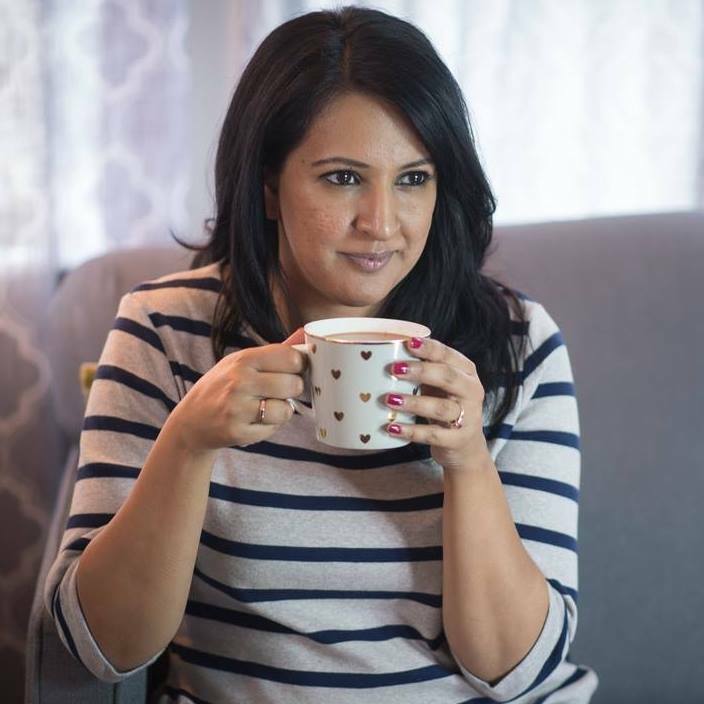 I love fall because it’s time to go back to the routines and rhythms of school, drink big cups of warm tea and it marks the start of festival season – from Diwali to Christmas. This year though I’m not quite ready to let go of summer…I want to give my sundresses one more moment of glory. Sadly, last night was not the moment for that, so I turned to and old friend – my ballerina skirt. An easy way to bring your light weights skirts and dressed into fall is pairing them with dark tights and boots. This season I’m also loving the dressed-up and embellished sweatshirts! Not much time to chat today…It’s my baby girl Z’s birthday and I’m still icing the cake! Enjoy your weekend lovelies, see you on Monday! Gorgeous outfit. I love it. Love the ballerina skirt! And it’s nice to meet another BC blogger – I live in Windsor, Ontario now, but just moved here a couple of years ago from my hometown of Victoria, BC. 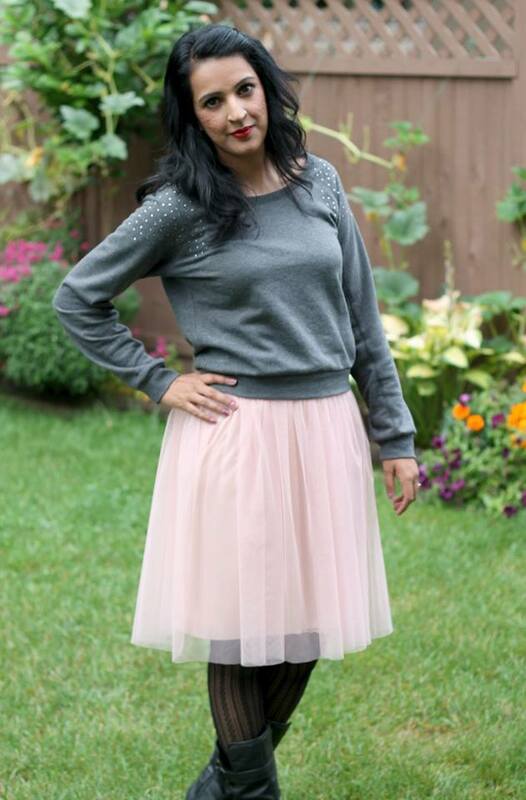 That pink ballerina skirt is just the cutest and such a great way to wear it for Fall. I want one! Thanks Karen – I’ve been meaning to do a tutorial because so many people ask about it. Maybe later in fall when I’ve got cabin fever! The F-word, lol. I am with you! I am not ready for fall either. I love summer. And that skirt is adorable.